The first Realm Makers conference at The University of Missouri on Aug. 2 to 3, 2013, will focus on Christian-speculative authors. Yet organizer Rebecca P. Minor says that may only be the beginning. 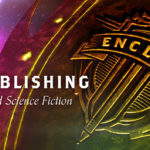 On August 2-3, 2013, a core group of self-professed nerds are going to try something a just a little bit terrifying — we’re going to hold a conference just for people of faith who love science-fiction, fantasy, and all their odd offshoots. 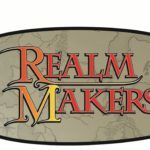 The event is called Realm Makers, and it will take place on the campus of The University of Missouri, St. Louis, in their JC Penney conference center. One might ask if there’s really any demand for such a thing — on the surface, Realm Makers looks a lot like a typical writers conference, except many of the classes will speak directly to the writers of “weird stuff.” For example, we’ll be talking about world-building, fight choreography, Star Wars, science, and magic. A little over a year ago, a group of speculative fiction enthusiasts were talking online about science fiction and fantasy conventions, and how many of us would like to attend one, but how the pervasive presence of scantily-clad “booth girls,” the glorification of dark and evil ideals, and the sometimes-antagonistic tone toward Christianity made an otherwise awesome environment too uncomfortable for some fans. Half-jokingly, I suggested we needed a “con” of our own. One where we could talk about the stories we love, but conduct the discussion through the filter of our worldview. One where there might not be so many chain mail bikinis. Though I expected people to laugh, they didn’t. They agreed with me. The enthusiasm and excitement about the idea began to boil. 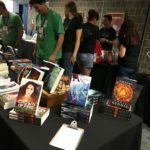 In order to keep the first attempt at Realm Makers manageable, we pared the idea of a full-blown convention down to a writers conference, since my main area of contact is with the fiction community. The long-term goal, however, is to expand the vision to bring together not only authors, but filmmakers, illustrators, comic book and graphic novel artists, and fans. It’s my hope that some of the discussions during this first year will help generate the momentum to forge toward this goal. For this year, even with just us writers, we have some exciting content lined up. Jeff Gerke of Marcher Lord Press/Hinterlands will serve as our keynote speaker, and we’ll have courses taught by industry professionals such as Bryan Davis, Kathy Tyers, Chila Woychik, L.B. Graham, Grace Bridges, and a host of others I can’t squeeze in here. 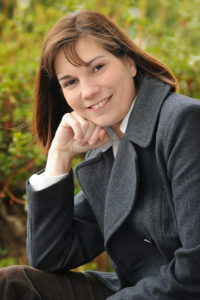 Fantasy novelist and Realm Makers conference organizer Rebecca P. Minor. 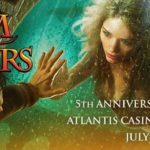 You can expect the conference to tackle some of the tough issues of being both a Christian and a fan of the speculative arts. Where is the line between appropriate, realistic content and glorifying mankind’s sin nature? Does the world still need books about upstanding heroes? Can and should a Christian artist work in the mainstream market? How can we reach beyond simplistic allegory and sermonizing in our stories? 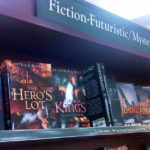 What’s on the horizon for established franchises as well as newcomers to the publishing world? Around the beginning of April, we will finalize the cost of attendance at the event, but the expectation is that the registration will run somewhere between $150-$200. Registration will open in May. The accommodations for the conference are right on the campus of the university, so while they might not be glamorous, the price will be right. And you can guarantee the company will be excellent. It’s my hope that this first instance of Realm Makers will begin an annual symposium where great ideas and even greater relationships can take shape. Keep an eye on FaithandFantasyAlliance.com for developing details. This is an AWESOME idea. Several years ago, a group from Christian Fandom (longtime con-goers who are also Christians) tried to put something similar together, but it fizzled, so I’m happy to hear of this coming together! Thanks for the nudge to get in contact with Christian Fandom…no, I had not yet touched base with them, but they would be a great connection to make. Hopefully we can maintain momentum and eventually help see our collective vision develop into a regular event! This is fantastic and exciting. Awesome! I hope things go well! YAY! This makes my inner geek melt with joy. ^_^ I yearn to attend, but it would be too hard this year, with a nursing baby to care for and a family vacation already planned for the fall. But I wish all the best to those who are planning Realm Makers and those who attend! Whether or not we can record will have a lot to do with the audio/visual resources available to us, either of our own or at the University. I do hope to record the sessions, and then we could post them for download. This sounds awesome! Just the sort of conference I’d love to attend. Don’t think I’ll be able to make it this time due to a previous engagement, but my brain’s still scrambling to figure out ways for me to attend. What if . . .
Well, if the pieces fall into place and you can join us, we’d love to see you there! Thanks for dropping in and for your words of support. Wow! This sound exactly what my group, [Group X], has been doing all along too! Yes, I’d thought of that, and several other separate Christian-speculative “splinter groups” whose members may still suspect they’re in the minority. They’re not all that unique. Coming all together, we have more market for these stories than we’d thought, so they are not “weird” or “niche” or any of those (artificial?) limitations. This is also a good thing, not just for storytelling, but for the Body of Christ. It’s amazing, in this digital age, how isolated we still remain! We find a group of folks like ourselves, we form a way of sharing our interests, and yet we miss the fact that so many other like groups are out there. I’m hoping, if not me, one of us can generate something with a strong enough gravitational pull to draw us all into orbit–to stretch a metaphor beyond cheesy-ness. But I think you’re right…we’d all be surprised to learn how many groups are already out there, as well as how many Christians are attending comic and sci-fi cons, thinking they’re alone. It’s amazing, in this digital age, how isolated we still remain! We find a group of folks like ourselves, we form a way of sharing our interests, and yet we miss the fact that so many other like groups are out there. And in this case it actually limits our growth, not only in influence but also growth of stories themselves. 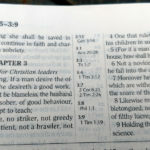 Authors who think only “niche” tend to write “niche,” and their stories thus maintain a peculiar evangelical flavor (the dreaded derivative label might apply here) or else veer into truly twisted territory by trying to be so “outside the box” that little human interest and timelessness is left. Rebecca LuElla Miller’s Content to Be a Niche identifies this issue well. It’s something I’d love to see aspiring authors, indie publishers, etc., begin to move past as they grow. This sounds great 🙂 It definitely would be wonderful to have a conference dedicated entirely to this genre. I know you probably don’t have the specific scheduling yet but do you have a rough idea of when it would start and end on Friday and Saturday? People who elect to stay on campus at the event can check in on Thursday afternoon. On campus attendees are welcome to stay Saturday night as well. How many people can you have in the on campus rooms? And how much per room? If I get to attend it will be as part of a larger trip to visit family in that part of the country, so there’ll be a group of us (I will be the only one attending the conference. The kiddos and grandparents will roam St. Louis). The housing, as it stands right now, can accommodate 40-60 guests and will be between $20-25 a night. You can also elect meals to be provided by the venue which run between $7-$10 I believe. These numbers shouldn’t change much, but please understand they are tentative until we post the actual cost. I hope you and your family can find a way so everybody gets to do their thing. While I can’t attend, sending my best wishes and good cheer for you guys! I’d love to go too. I’ve tried to convince my hubby we should celebrate our anniversary in St. Louis this year (Aug 3) ha! We shall see. I’m very excited about this conference: finally, I’ll be able to put more than an avatar to the people I’ve come to know in this community. And hearing Jeff Gerke or Kathy Tyers in person: awesome! Will try to get my registration fee set aside next month while I have half a chance at pulling that much out of my hat! 🙂 I’m IN!! I live just over the river on the Illinois side, but only about 1/2 an hour away. Will probably plan to stay in the housing though. Transportation is difficult — I’m disabled and can’t drive — so living on campus for the weekend will be easier than trying to find a driver to get me back and forth. Looking forward to this!!! I really want to find a way to come. I do hope you’ll keep us informed! This sounds pretty awesome. I think the fam and I are gonna try and make it! When I first discovered the plan for this conference, I was immediately intrigued. The more I learn about it, the more appealing it sounds. I’m definitely considering coming, as I think an event like this is just what I need at this stage in my writing endeavors. I came over here because of a reference on Christian Fandom. 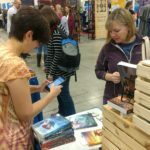 Although I have heard Christian fans express extreme discomfort at the atmosphere at sf cons, and I have occasionally experienced much milder discomfort myself, I’m somewhat croggled by the notion of “booth girls” at an sf con. (On rereading, I decided I may be taking what was meant as a far-fetched comparison too literally, but the rest of this comment assumes otherwise.) I have never seen a booth girl and an sf con, and the very fact that Rebecca can mention it with a straight face suggests that her own experience of secular sf cons is next to zero. (Possibly things are different at media cons, but these should not be confused with normal fan-run sf conventions.) At some cons there are scantily clad females to be found, but they are so dressed of their own volition, not because they are being paid to attract males to a booth, as at some business conventions. If you folks are using sf cons as a model, it might be nice if you had some people among your organizers who have actually attended such things! It seems to me, however, that you are actually using a model more like Mythcon. Nothing wrong with that per se, and (at least in past years; I have not been to one recently) Mythcons have been a place where some Christian fans feel more comfortable than at sf cons. But they’re not the same thing, and not even particularly closely related. Well, I took “booth girls” to be a euphemism for scantily clad females. In that sense “scantily clad females” is what are found (seen) at SF conventions. And, I’ve attended SF conventions from 1969-1979 (2 WorldCons) and more recently during this decade… It’s certainly not confined to the masquerade ball anymore! While not completely uncomfortable at secular gatherings, I wouldn’t mind attending an SF & F conference with an emphasis on Christian fans and writers. St Louis would be the ideal place since that’s where I discovered SF and fandom. Too bad I have a major conflict the following week in Pittsburgh.